A group of friends retreat to a quiet hunting lodge for the new year. Each chapter is narrated from a different character going back and forth in time and then leading up and after the moment one of them is murdered. It follows in the vein of a true murder mystery where we are aware a murder has happened but we don’t know who is dead and who did, with one who is killed still speaking. I think I would’ve enjoyed this much more if the characters were more bearable to read about. The voices of each character were actually difficult to distinguish since they’re so similar. I rarely step out into mysteries and it’s a shame that I didn’t enjoy this as much I wanted to. This book has been sliding up and down my TBR list for almost four years now. I guess I’m glad I finally sat down and read this book, so I could watch the Netflix film. Contemporary rom-coms are a bit of a hit and miss for me. I feel like this was an almost hit. From an objective view, it was an endearing story about love and family and I understand the importance of the story about family and love. There’s a whole lot of good to this book and if you’re a bigger fan of contemporary YA then by no means, give this book a shot. It’s sweet and charming. The moments where Lara Jean is with her family is where the books were at its best. I actually saw myself a lot through her here. But I’m actually struggling to put to words why I just didn’t like this book. From my notes, everything seemed positive, aside from the whole pining after your sister’s ex and the other seemingly romantic aspects of this book, made this book a bit unbearable for me. Overall, this book wasn’t for me and I’m alright with that. I’m just glad this book’s finally off the TBR. When going for a walk with her crush, Michael, Asiya accidentally stumbles across a dead body. Knowing that telling the police means revealing to her strict parents that she was with him, Michael covers for her but then goes missing himself. All the evidence points towards Michael but Asiya is sure he’s innocent and is willing to risk everything to help Michael. This review is painful to write because I literally don’t know what else to say except that I loved this. It was such a fun read. 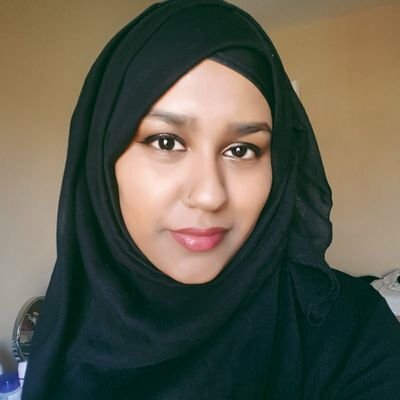 All Asiya wants is a normal life but she’s thrust into a murder mystery and has to use her wits to navigate her way through the investigation. It was such a fun and comical read. And serious at times, especially when Asiya begins to doubt Michael’s innocence. And I really enjoyed the character of Asiya: she’s a headstrong lead and her faith and determination drive her to do good, even if she shouldn’t be doing much of the things she does. Even the attempt of bringing South Asian and Muslim problems forefront was good and done so well. (Asiya and her family are Bangladeshi and anytime I see a Bangladeshi character I immediately go (ﾉ◕ヮ◕)ﾉ*:・ﾟ✧ ) Solving a murder is hard and Asiya struggles with it a lot, especially since she doesn’t want to disappoint her family so she has to work with her family and community. She mentions the inconsistency of her community that allows boys more freedom and their gossiping nature that spreads like wildfire. I hope in the sequel we see Asiya use that to her advantage, like asking her brother to help and do something that she would’ve been easily caught doing but not him. God Smites is an enjoyable book. I turned every page and I immediately was like “this is so me!” I kind of related more to her younger brother: he just wants to play video games and struggles to pass Maths which is literally my entire educational experience. I’m also in love with the book’s dedication. For all the girls who were never told someone like them could, not even in books. With God Smites, I get to read about a Muslim girl go through daily life that’s similar to my own, where I can see myself in her actions and that’s my favourite part of this book. It’s such a real book which portrays such real characters without being stereotypical. Sure, her mother is very strict and her father too, but we also get to see them protect and try to understand Asiya. Their family dynamic was so relatable and funny. They all get frustrated and argue with each other but in the end, they do come together as a family. And that ending, guys, my jaw dropped. It ends with a big revelation and an even bigger cliffhanger. Can I have the sequel now? He yelled a general, “Salam alaikum!” and made it halfway to the basement door before he realised something was off. Every Heart A Doorway has one of the best concepts ever. We all dream we can be whisked away through a wardrobe door, fall down a hole and be transported to entirely new worlds. But Every Heart is about the kids that come back, whether they want to or not. Here come Eleanor West’s Home For Wayward Children where desperate parents send their children who they wish to go back to being ‘normal’. But Eleanor is someone who has also returned and commits her life to providing a safe place for them. Tragedy strikes the day Nancy enters the home, and with her new-found friends, they try to stop it before it gets them. For a story so short, it tackles and includes so many topics: gender issues, what we perceive as wrong or right, mental health. There are so many lyrical and poetic lines in here, it was beautiful. McGuire knows how to write creepy. I went into this thinking it was like Miss Peregrine’s Home, but Every Heart is much eerier and strange. But you can’t mention this book without mentioning the diversity. It makes me so happy to see authors really understanding how important it is for our fiction to be diverse. While I was excited to see such a diversity of characters, and all of them have such well-built tales and backstories, I struggled to feel for them. I think it may be due to its length, but this concept was way too big to fit into such a small novel. I would’ve loved to have seen more worldbuilding. The High-Logic and High Nonsense confused me at first, but it interested me. There are so many concepts that are introduced, but not much of it is actually explained. But I believe the third novel will continue the events in this one, so I’m definitely excited to see what happens next! Overall, I definitely recommend Every Heart A Doorway since it’s a strange yet entertaining read. The book begins as Nick – “I used to be a writer…back when people read things on paper, back when anyone cared about what I thought” – finds that at their fifth wedding anniversary his wife Amy has gone missing, the front door is open, the coffee table shattered, books scattered. Amy, a trust fund baby New Yorker who has a disastrous life since Nick put her to his Missouri home to care for his dying mother, is now gone. Slowly, the two stories begin to converge, the media and police start to swing the blame towards Nick’s way. He lies to the police: little lies that don’t really matter, but why is he doing it? And there’s something strange about Amy’s diary too; her vision of the events of their past is different from Nick’s, it demolishes their perfect image. We begin to see the cracks in the darkness in this seemingly perfect marriage: where is Amy, and who is telling the truth? Flynn, an extraordinarily good writer, plays her readers with twists in throughout the story. She plays with her unreliable narrators to stunning effect, disturbing and delighting in turn. 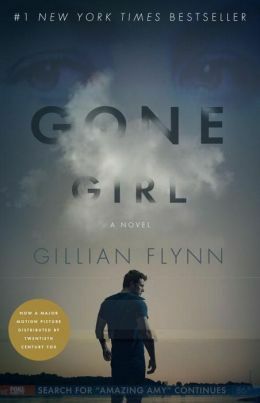 Gone Girl, her third novel, is an absolute must-read. I spent most of the book deciding between fearing Amy Dunne and wanting to be best friends with Amy Dunne. The woman is brilliant, witty and utterly on-point about so many things (the “Cool Girl” speech; “bleed and clean,”). Her brilliance is terrifying. Even when it looks like her plans are going to unravel and she’s going to be caught, she finds a new way to win. Amy is always about winning. I didn’t like Nick at the beginning but now looking back, you’re not supposed to like him then. He’s a bitter loser who drifts through the investigation, shrugging his shoulders at every new clue suggesting he might have a part in his wife’s disappearance. It’s only when he starts to fight back and become more like Amy, crafting his own lies and using the media to his advantage, that you begin to like him. In short, this book hits all the marks, and I will definitely be reading more from Gillian Flynn in the future.